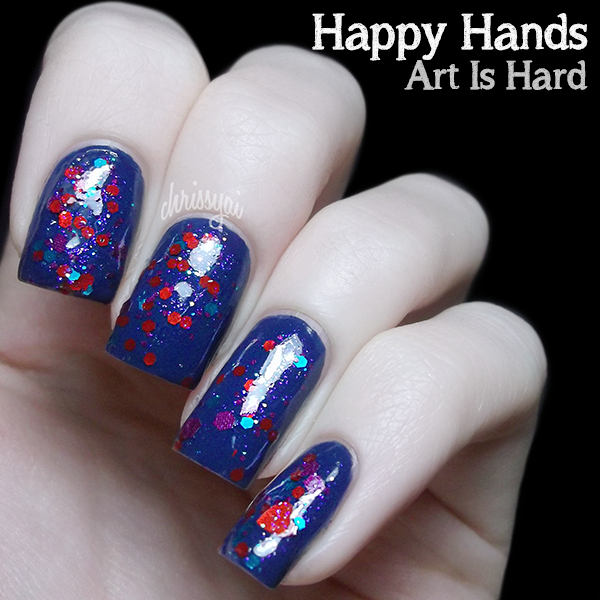 Art is Hard consists of bar glitter, hexes in various colors and sizes, as well as little red hearts floating around. I feel the name and combination of glitters in this polish really go well together, it's very creative and fun looking. I don't think it's a glitter I'd grab for on a daily basis but I definitely think it'd be great to do fun manicures with! 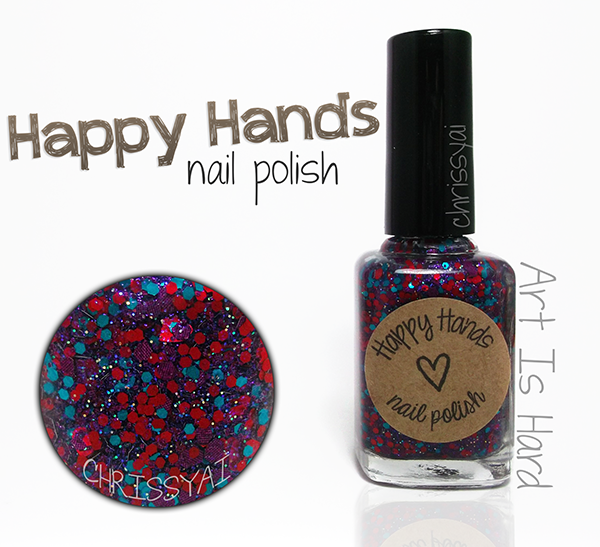 You can purchase Happy Hands polish from Harlow & Co. where they retail for $11.00 each! As usual, over $50 and shipping is free, this applies everywhere! What a fun glitter! :D Looks cute! Very nice! I like big glitters and they would certainly make my hands happy. Wow!! I love this color. Very pretty.